The Opmantek Awards night was an incredible evening for everyone involved. 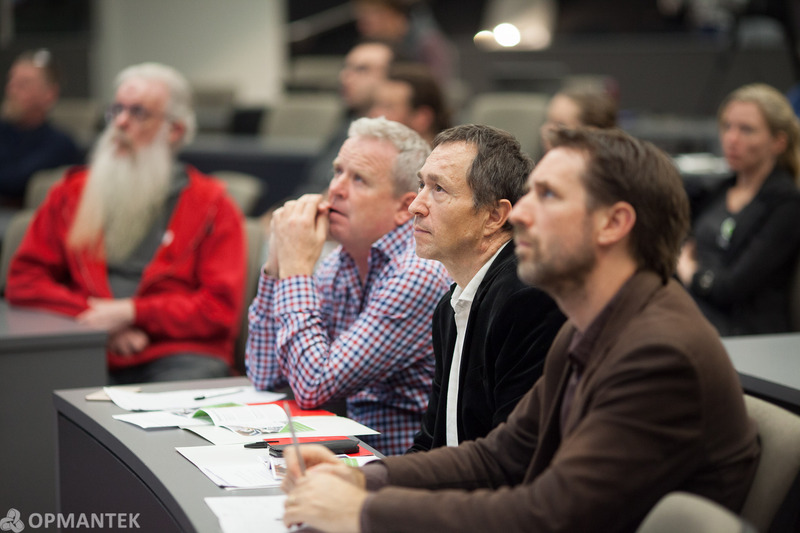 The superb quality of presentations made for a thought-provoking and exciting night. The panel of judges had the hardest job of the evening, Danny Maher (Executive Chairman, Opmantek), Dr. Rene Hexel (Deputy Head of School, Scool of ICT, Griffith University) and Councillor Glenn Tozer (City of Gold Coast, Division 9), had their hands full with the hardest choice on declaring a winner. 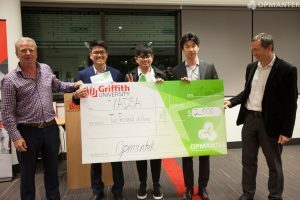 The prize included the recognition, that the student’s project was the most professional, deliverables were achieved and there were the happiest stakeholders. $2000 was an added bonus to the invaluable experience each student received. The first group was tasked to develop an Android app that would help farmers, specifically in the Mekong Delta, to help predict farming outcomes based on environmental conditions. They used professional sources and node collection to run a prediction algorithm that gave suggestions on suitable farming techniques to maximise the probability of successful crop generation. This was all packaged on a mobile device for a farmer to use in the field. 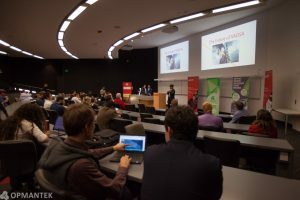 The presentation on the evening documented the procedure very well and included a live demo of the app, a must for any pitch. The second group were given the task of redesigning the digital marketing strategy for a company that assists disadvantaged teenagers. They leveraged their existing skills to implement a full redesign of the website and develop a social strategy to increase the interaction with potential clients. The presentation included a live demo of the app, ran through the design elements and strategy for the company to implement, in an extremely professional manner. The final group of the evening looked to streamline the process of reporting a local school’s social worker’s interactions. The stakeholder was the social worker who stated she spent 2-3 hours a day handwriting her documentation. The team tackled this project to digitise the process while ensuring that all information is protected by strict privacy regulations. The team were able to implement everything on site during the project period. The presentation involved a live demo and was professionally presented. 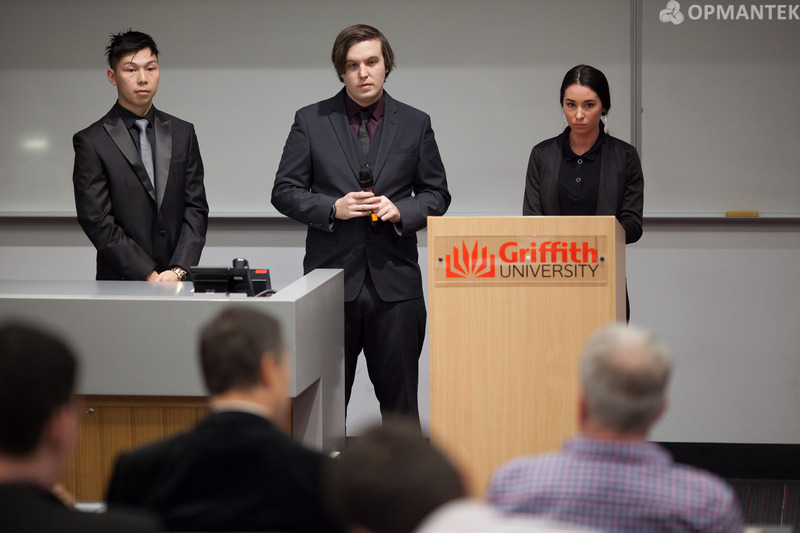 All the projects were presented exceptionally well presented, acted as a team and knew their topic fields. One of the bonuses for being a finalist is having the panel address all the business concerns that the business could have. It is the hardest part of the presentation, but the most valuable, every team were able to answer some extremely challenging questions, without having to resort to buying CEOs beer. Every project had a terrific philanthropic element that was inspiring to see. Every project deserved to win, but unfortunately, there is only one winner, for Trimester 1, 2018 the winner was the VADSA group. The team were able to run a sophisticated prediction algorithm, that leveraged low connectivity areas to help farmers manage their crops better. Vietnam is the third highest exporter of rice, their economy is reliant on it, and they built an app that will help them increase their performance. 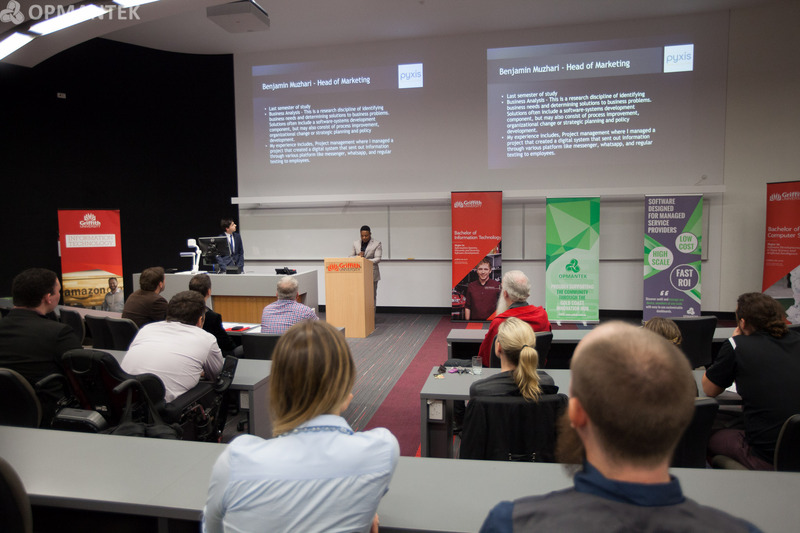 For more information regarding submitting a project or to attend future awards nights, contact the Gold Coast Innovation Hub, located at 36 Laver Drive, Robina, Qld, Australia.